We love the joy of the holidays and holiday music here at In Harmony so we have several ways for you to enjoy the spirit of the holiday season with your family and community. Let's bring in the holidays with good music and cheer. You may purchase the holiday song collection in our online store or by visiting one of our locations in person. These fun family classes are similar to our Music Together® mixed-age classes, but they feature music from our very own Holidays in Harmony song collection. 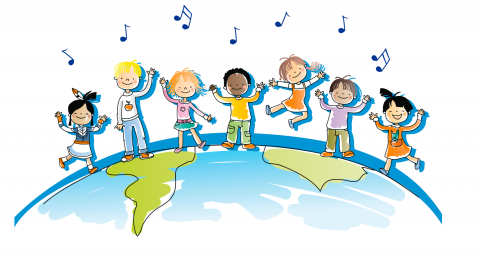 We also have a few classes for our 5-8 year old music makers to expand their repertoire, step into the spotlight and add their unique personalities to the music. Sessions are 2 or 3 weeks and tuition includes a copy of the Holidays in Harmony songbook and a digital download of the music.